Looked out the window while eating breakfast this morning, and saw a rainbow. So I took a picture—because, you know, that’s how we roll around here. 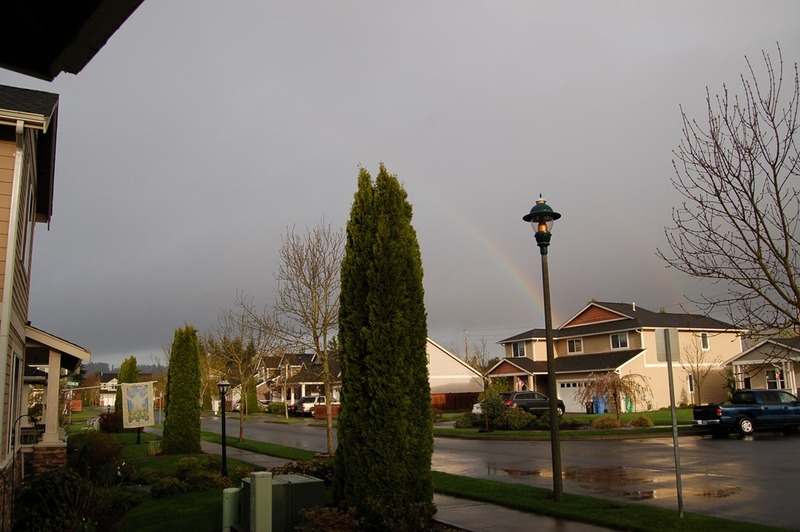 But after taking a picture, I discovered it was actually a DOUBLE-RAINBOW. A double–SUNRISE–rainbow.